I received this little buddy from Born Pretty Store and I couldn't wait to try it out ASAP. 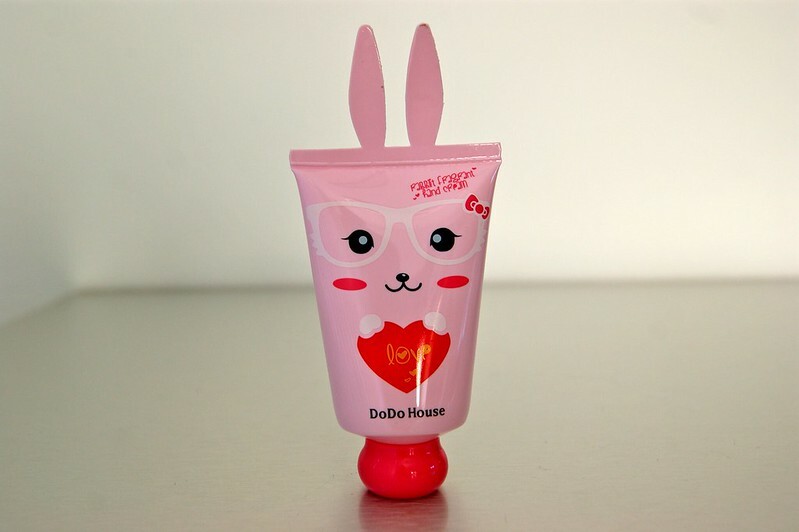 Dodo House is a Chinese cosmetics brand - if I did my research correctly - and I just love Asian brands for their cute and adorable packaging. Just looking at the bunny shaped tube gives me an instant dose of happiness. The outside gets an A+ already, but what about the inside? Click below to read my review about the Dodo House Hand Cream. P.S. : You can buy the hand cream above on Born Pretty Store here. Get 10 % off on their items using the following code: KST10. As I mentioned above already, you can get the hand cream on Born Pretty store. Price tag? About 6,5 dollars (shipping not included). There are 6 different types of bunnies and scents and the fun or not so fun part (it's up to you to choose) about ordering of these, is that you don't know which one you're going to get. Just look at it as a little surprise. I wish I could tell you something about the ingredients, but as you can see from the picture above: I can't. I guess it's one of the downsides from ordering Asian products and I it's only logical to write the ingredients in your own language. But still, I would have preferred to have some kind of translation in English, especially since they sell their products to so many foreign companies and it's always nice to know what it is that your rubbing onto your skin. 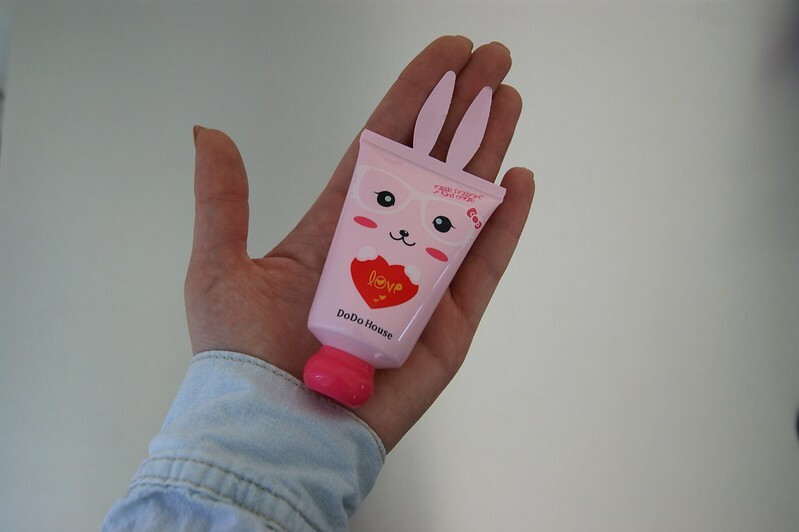 The tube contains 45 ml of hand creme and is about 12 cm long (bunny ears and cap included). It's the perfect size to carry along in your handbag. Thumbs up for that! 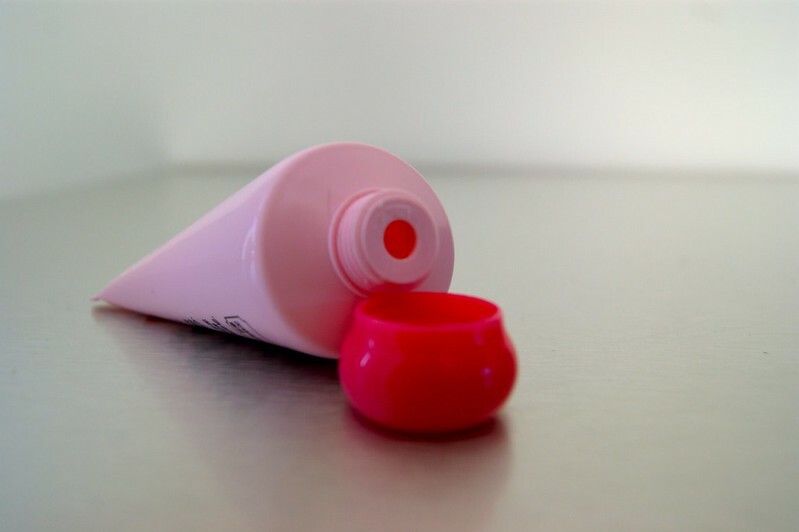 The opening of the tube is like you'll find on many others: just squeeze and the cream will come out. The scent is a flowery scent, I'm guessing roses. It's very noticeable when you first apply the hand cream (which I don't like, personally), but it has already faded and almost disappeared after an hour or so: a plus for those who don't like creams with a strong scent, a con for those who do like it. 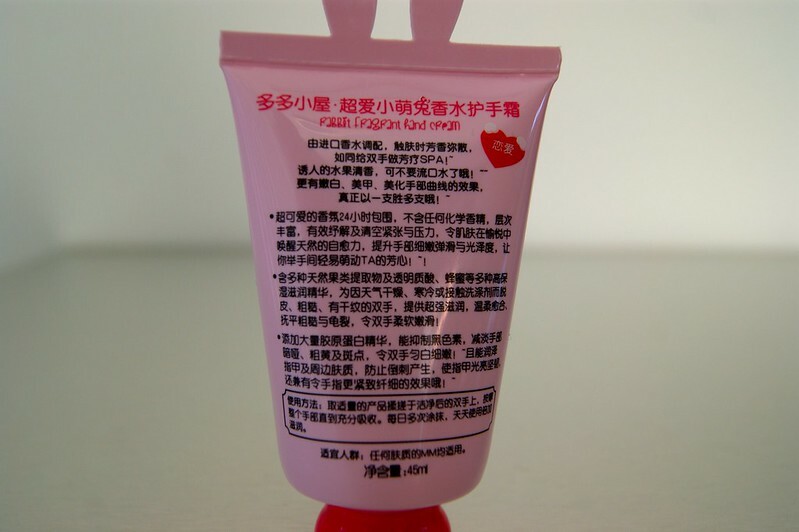 After applying the cream, my hands felt a bit greasy at first, but my skin really absorbed the cream in 5 to 10 minutes. This is a personal pro for me, since I don't like creams that keep your skin greasy for hours. My hands felt soft throughout the entire day and I only had to re-apply about two times. So, what do we think about Dodo House hand cream here at Shark Attack? - The bunny shaped packaging is too cute. - The price is reasonable. - When you order, you don't know which type of bunny and scent you are going to get. See it is as a little surprise. - The size is perfect to carry around in your handbag. - Your hands will feel soft for a considerable amount of time. - The scent fades within the hour, but this is a personal pro because I don't like heavy scented creams. - When you order, you don't know which type of bunny and scent you are going to get. - The scent fades within the hour. - The ingredients are written in Korean. This product was sent to me by a PR company / brand. Ah, wat een schattige verpakking! Echt leuk! Leuk verslag! Dat je de geur niet zelf kunt kiezen, vind ik wel een minpunt! That's not Korean actually. It's in Chinese. And Dodo House is a rip-off brand of the Korean brands Etude House and Tonymoly. The real deal is much better. Ooh, I'm sorry, I didn't know that! 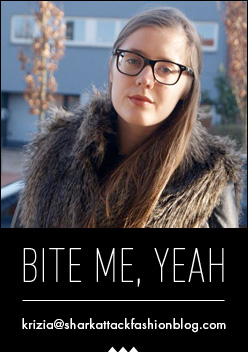 Thanks for the advice, though! Will keep that in mind.